A commercial cleaning company comprehends every aspect of cleaning and the reasons behind why it is important for you to get the every corner sparkling clean. Unlike regular cleaning workers, these companies provide you the flexibility of working hours of cleaning professionals. But to hire a cleaning service, you need to get familiar with certain criteria which these companies should meet. For that, you don’t need to go anywhere as here are some important tips which will help you in hiring a reliable and high performing commercial cleaning company. No matter for what purpose you are hiring a service, it is always important to do a background check on the company. Search out or ask for how much time they are working in this domain and how many trained professionals they have for the cleaning work. What criterion they have devised for selecting the professionals and what their health status is. Surely, you want best service when you pay for it. Thus, it is important to have an idea about their past work and reputation. You must ask them for how many days their cleaning professionals work and for how many hours they are available for your service. It is crucial to know especially if you want them to carry out the work after office working hours to avoid interruption in the office work. You should also ask if there is any special day or date on which their professionals take a leave and whether they provide replacement for any of their worker. This will help you to avoid the unnecessary trouble that can be caused due to irregularity of workers. This criterion is generally ignored by many business runners but it also has equal importance. All commercial cleaning companies (which you consider) should be able to show you the proof of insurance and licensed. Insurance will come handy if any accident should occur to workers in your office while they are on duty. This will save you and the cleaners also. A well established commercial cleaning company makes sure that their professionals have a thorough checklist of tasks. Find out if there is a standard task list to follow for the cleaning professionals. 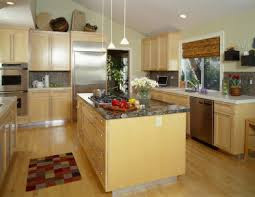 It will make aware you which cleaning tasks they cover under their service. If you aren’t satisfied with the list and want to add more, don’t hesitate and communicate your requirements with them. These are main criteria which you should never ignore. Apart from these criteria, you can also ask about MSDS list (Material Safety Data Sheets), what is the health record of their employees, how much educated their workers are, how much they are experienced and what cleaning supplies they provide to their staff for cleaning work. Asking all these questions and ensuring their reliability will make sure that you will get what you pay for.